We are delighted to share a first look image from BAFTA® and Olivier® Award-winning director Richard Eyre’s adaptation of King Lear. 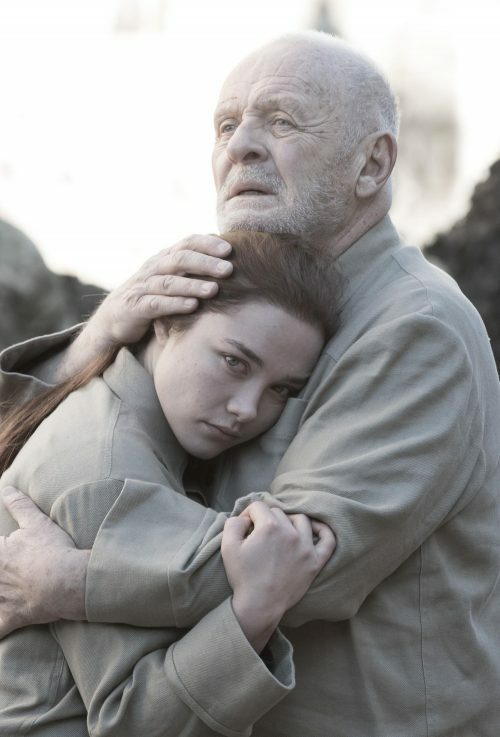 Set in the fictional present, King Lear sees Academy® Award winner Anthony Hopkins as the eponymous ruler, presiding over a totalitarian military dictatorship in England. Academy® Award and BAFTA® Award winner Emma Thompson stars as his oldest daughter Goneril. Academy® Award nominee and BAFTA® Award winner Emily Watson stars as his middle daughter Regan, and BAFTA® nominee Florence Pugh as Cordelia, the youngest of Lear’s children. King Lear will premiere on BBC Two Spring 2018.